Kitchen renovation can be so exciting. A new kitchen of your dreams with colors, appliances and storage just the way you want and need it. Making the kitchen favorite room in the house again is not going to be easy though. 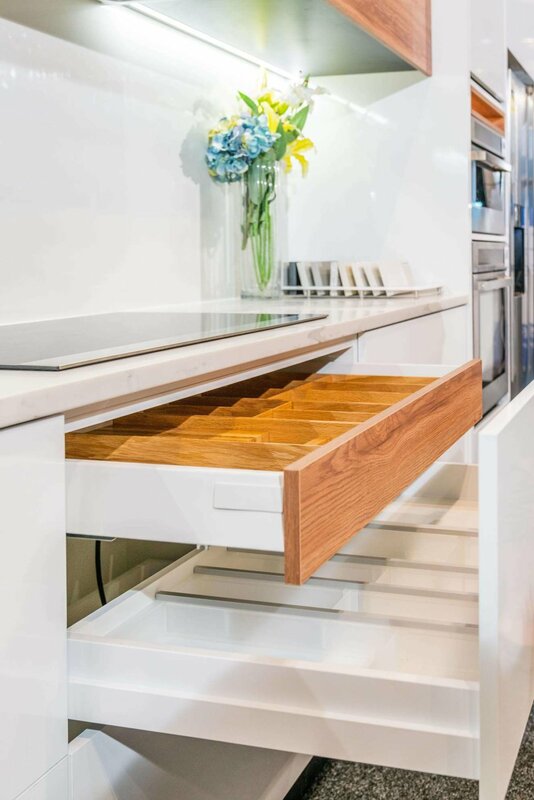 There are so many things to decide and so many new trends to explore to ensure that you and your designer have a clear vision and direction before you get into your kitchen renovation. Make sure you explore all the different options that there are for flooring, sinks, and even your cabinets. Every part of your kitchen design should be taken piece by piece to make sure you get to choose everything from hardware to finishes. Nothing is too small or unimportant for you to choose for your new kitchen. There have always been so many choices when it comes to flooring, and current trends have not forgotten about the importance of the floor. Flooring is not just about the material, though there are a lot to choose from. From wood, tile and laminate to marble and vinyl, thoe choices and finishes to complement your kitchen design. Wood floorings can be done in a variety of sizes, finishes and styles. Herbowing in wood gives the floor and very interesting and intricate design that can beautiful in any design.patterns help to create a unique design in the floors with different shapes and creative placings. Flooring also should be chosen for durability and to be aware of the needs of your home. There are so many different choices make sure you take the time to see what your kitchen showrooms have to offer. Who says the ceiling can’t be a feature piece. Don’t settle for just a plain white ceiling. Give yourself something spectacular and give your guests something to look at thats unexpected when they walk in to your kitchen. Checkered ceiling can be a fun piece to incorporate color into your design. This can be done in black and whites for a classic finish or in any other color that ties into your kitchen renovation design. Another option is to add panels and break up the space for a more sophisticated and elegant design. One design trend that is getting a lot of attention is the tin covered ceilings that can be done in a variety of colors and finishes. No matter what you choose allow your ceiling to be a large part of your overall design. Your sink should be more than a place for you to wash dishes and clean up messes. It can be a beautiful feature as well. Colored sinks are making a splash in kitchen renovation designs allowing homeowners to add pops of color in an otherwise basic colored worktop. Farm style sinks are making a comeback in recent kitchen renovations. It gives a clean classic look and also is functionally a wide deep space for cleaning pots and pans. Cast iron sinks are a timeless and durable option but can be a bit heavy, so its best installed by a professional. Sinks are more important to the design that ever before so take the time to explore all the different options. Cabinets especially in small kitchens can make the space feel closed off and smaller. Floating shelves installed with accent lights can draw attention to decor or dishes in way that makes everything more purposeful and inviting. Joinery in Christchurch can design and install the perfect shelves and help build cabinets anything extra. Floating shelves come in a variety of different material and finishes so that the dishes and decorations places on the shelves can match and ce pleasing to the entire design. Whether it be the lighting fixtures or custom colored cabinets by the joinery in Christchurch. Feature lights hanging over an island can create a wonderful look to any kitchen. Custom vent hoods bring attention to your stove for masterpieces are made. Beautiful mosaic splashbacks can create beautiful backdrop to your kitchen. Floral wallpapers on an accent wall can bring light and interest into your space. Picking the right statement features for your space will give up kitchen design something special that you will love for years. There so many trends for you to choose from. Your kitchen designer will be able to help you explore which ones will make it into your kitchen design. A joinery in Christchurch will be able to help design custom cabinets, shelving , Islands send more in all the colors and customs finishes. Your designer will help you choose the custom finishes and features that will help your design come to life. You should take the time to look at the flooring and the appliances and the sinks and really make each piece work for you functionally and aesthetically.